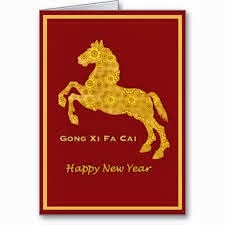 As we celebrate the Year of the Horse, I like to thank you for your support. I look forward to contributing to your Health in 2014. May this New Year turn your dreams into reality and your efforts into achievements. May you also be blessed with every Happiness, Health and Prosperity. Here's wishing you a truly fulfilling 2014 Year of the Horse and many more years to come! To those of you who are not celebrating, Happy Holidays!